Finding, sharing and maintaining community resources can be time consuming. Arounja is a mobile-friendly, web-based tool that can help. 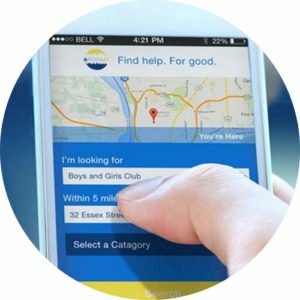 FIND community resources around where you live, work and play by type, location or through searches. GET THERE by providing directions to and details about these resources, even showing you the front door! SHARE new resources to the map, update resources that exist or share resources you find with others. We are currently in the process of obtaining approval for iTunes and Google Play. Sign up to be notified when Arounja is released.